In a few decades Cohiba went from a private-label brand for Fidel Castro to becoming the most recognizable, sought-after cigar in the world. 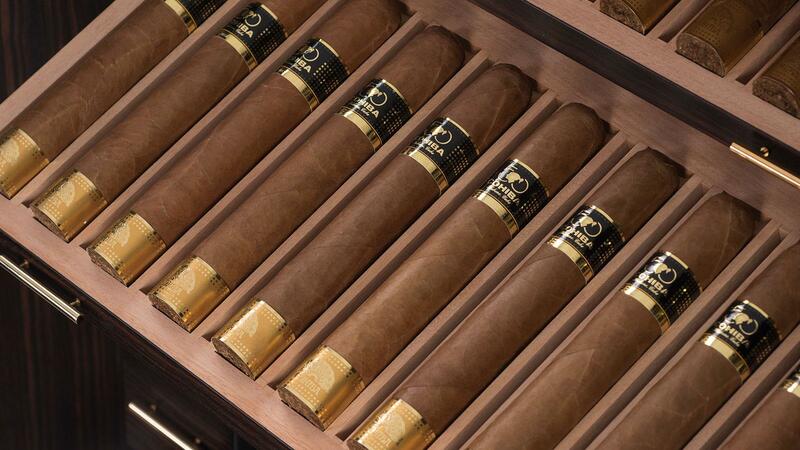 Up there with Dom Pérignon vintage Champagne, Rolls Royces and Patek Philippe watches, the Cohiba name is now synonymous with luxury goods, and for the most part, they live up to the hype. Cuban Cohibas tend to score very well in Cigar Aficionado blind tastings, and the Cohiba Behike BHK 52 was even named Cigar of the Year in 2010. As far as trademarks go, Cohiba just might be Cuba’s prize possession, and if you’re lucky enough to get your hands on a real one, it’s probably the most highfalutin stogie in your humidor. But before you decide to splurge on these pricey puros, here are some facts about this mysterious brand you should know. Cohiba (koh-HEE-bah) is so easy to say—rhythmic almost—and it’s the word for tobacco in Taíno, the native language of Cuba’s indigenous Arawak people before Spanish conquest. 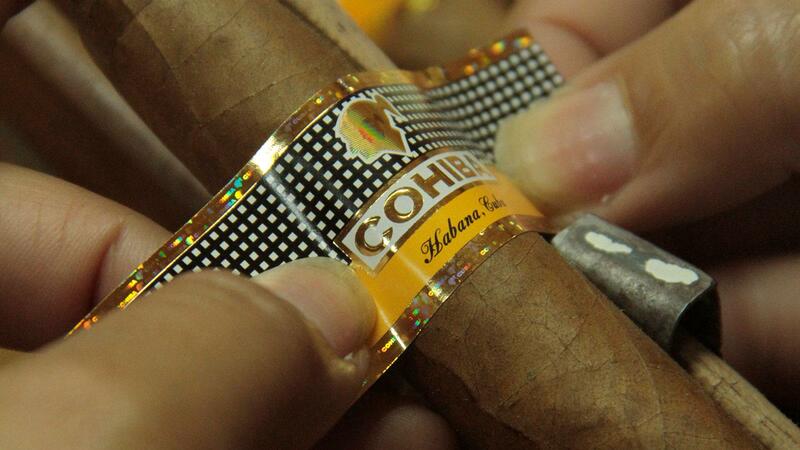 As far as Cuban cigar brands go, Cohiba is pretty young. A lot of the Cuban brands you see today were privately owned before the Revolution and then subsequently nationalized, but not Cohiba. It was created in 1966, after the Revolution especially for Fidel Castro, so Cohiba itself has nothing to do with Old Havana, but is quite symbolic of Castro’s Cuba and an icon of the Revolution itself. 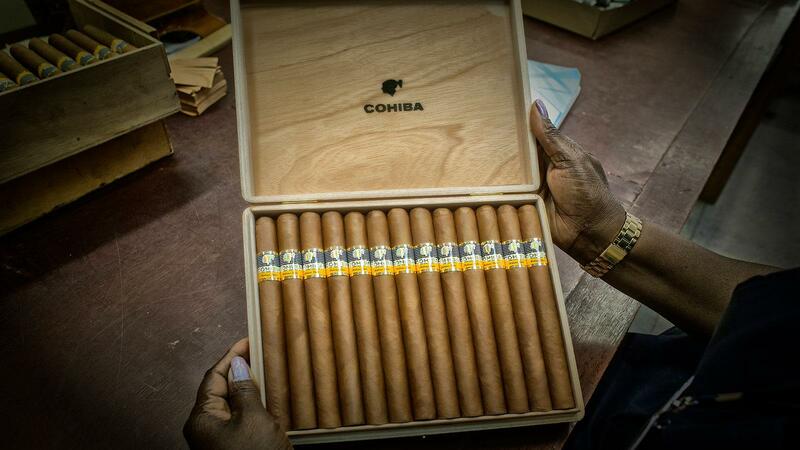 A box of Cohiba Esplendidos, one of the longest sizes in Cohiba's core line. The way the story goes, these were the cigars made for Fidel Castro’s chief bodyguard. After trying one on a whim, Castro fell in love with the smoke and ordered more, eventually making it his personal cigar of choice. For many years, the only way you could get a Cohiba was if Castro himself gave you one. The cigars were selectively doled out as diplomatic gifts to dignitaries, heads of state or anyone who Castro thought worthy of such a splendid smoke. At the time, the mysterious cigar came in one thin size—the 7 1/2 inch by 38 ring gauge Lancero. Cohibas didn’t become commercially available until 1982, and even then, you could only buy them in Spain. The brand came in three commercial sizes: Lancero, a size known in factories as Laguito No. 1; Corona Especial, or Laguito No. 2, and Panetela, or Laguito No. 3. The larger cigars didn’t appear until 1989, after Cohiba was launched globally. The new sizes were Robusto, the Churchill-sized Esplendido and the very small Exquisito. Cuba’s most famous brand comes in four series: The core line, officially called Línea Clásica; the Siglo Series, known as Línea 1492; the Maduro Line, called Maduro 5; and Behikes, named the Cohiba Behike BHK Series. As if Cohibas weren’t expensive enough, Behikes will set you back even more, as they are considered the very top-tier of the entire Cohiba portfolio. The Behike BHK 52 was named Cigar Aficionado’s Cigar of the Year in 2010. In case you didn’t know, Davidoff started out as a short-lived Cuban brand. What does this have to do with Cohiba? Once Davidoff’s production was moved to the Dominican Republic, Cuba had a gap to fill, so Cuba’s cigar industry came out with the Cohiba Siglo Series in 1992. Officially called Línea 1492, the Siglo Series of cigars matched some of the sizes previously found in the Davidoff line. The Siglo I, for example, is the same size as the former Davidoff Château Haut Brion. The Siglo II mirrors the Château Margaux. The Siglo III, Château Mouton-Rothschild. And the Siglo IV, the Davidoff 5000. The Siglo V and VI, however, were their own sizes. Cuba's El Laguito cigar factory, where many Cohibas are produced. You can’t miss it. El Laguito is the big, yellow mansion in Havana’s leafy Miramar section, and it’s dedicated to making Cohiba cigars. 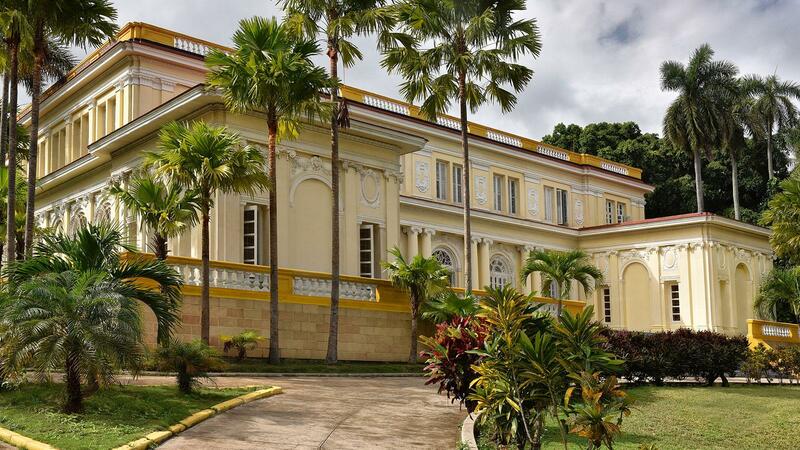 The mansion was built by a Cuban industrial magnate named Alberto Casimiro Fowler but later became the Cohiba factory. The Cohiba logo is boldly emblazoned on the sweeping staircase wall and visible as soon as you walk in the foyer. El Laguito, however, isn’t the only factory that makes Cohiba. To meet demand, Habanos has spread out production to other factories, but it’s a generally held belief that the best Cohibas come out of El Laguito. Very few tobacco plantations in Cuba produce tobacco distinct enough to be used for the Cohiba brand, and Habanos isn’t saying which farms actually make the grade. We know they’re located in Pinar del Río, but that’s pretty vague. Some farmers might claim that their tobacco is used for Cohiba, however, the truth is quite difficult to verify unless you’re employed by Habanos. 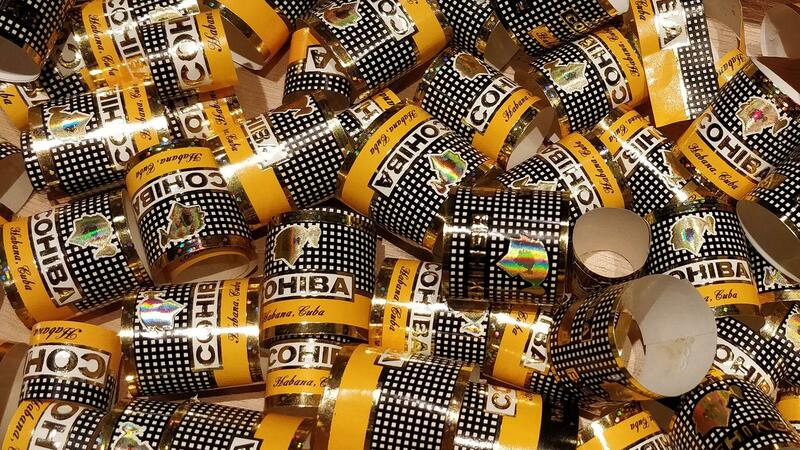 New Cohiba bands are printed with top-to-bottom holograms, which are more difficult to duplicate. Rembrandts are faked. Stradivarius violins are faked. Louis Vuitton handbags are faked. Petrus wines are faked. And because Cohibas are also a sought-after luxury product, they are counterfeited more than any other cigar brand in the world. That’s why you see fake Cohibas sold on the streets of Cuba and at souvenir shops on Caribbean beaches the way you see fake handbags sold up and down Canal Street in New York City. Those Cohibas that your son-in-law bought on the beach in Cancún? Fake. So are the Cohibas that your so-called “connection” gets in Cuba from people who supposedly work at the El Laguito factory and sneak them out the back door. It’s the lawsuit that just won’t die. Ever since General Cigar started selling Dominican Cohibas in the U.S. back in the 1980s, there have been lawsuits, counter-lawsuits, appeals, numerous hearings, contradictory rulings and back-and-forth litigation that’s gone on for decades. Do trademark laws apply when there’s a trade embargo against the very country that owns the trademark? The courts can’t seem to agree on an answer. Officially called Empresa Cubana del Tabaco v. Culbro Corp. the case now awaits further litigation before the USTPO's Trademark Trial and Appeal Board. The design has gone from simple dots and crude lettering to today’s technologically advanced, anti-counterfeit holograms. Over time, the bands have developed and evolved to the point where early bands look almost nothing like the current ones. While older bands were fairly easy to fake, each newer version became a little more sophisticated. First, dots turned to squares. Then, flat, black letters turned to gold embossments. Now, the bands are printed with top-to-bottom holograms, which are more difficult to duplicate. 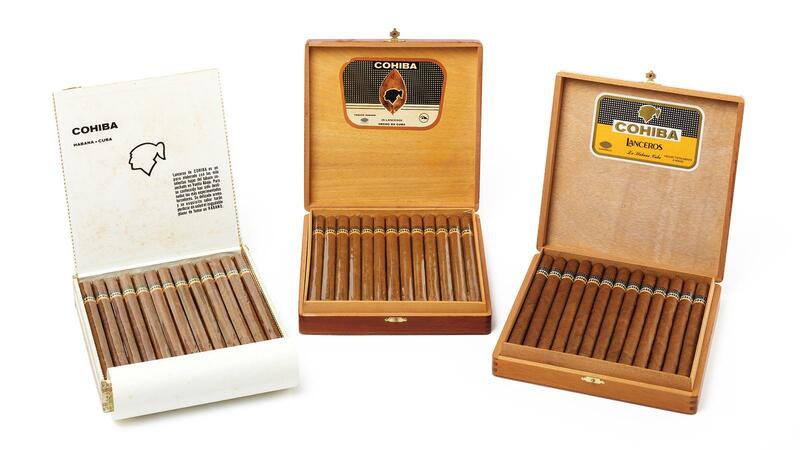 The Cohiba 50 Aniversario is the only commercialized Cuban cigar to reach a full 60 ring gauge. When Cohiba turned 50 years old in 2016, it was commemorated with an expensive Elie Bleu humidor that retails for hundreds of thousands of dollars. Within that humidor are 50 Cohiba 50 Aniversario cigars, each measuring 7 inches by 60 ring gauge. Cohiba came close in 2014 with the limited-edition Robusto Supremo at 58 ring gauge, but so far, the 50 Aniversario is the only commercialized Cuban cigar to reach a full 60 ring. Cohibas are by far the most expensive regular-production cigars sold around the world. In the U.K. a Cohiba Robusto retails for £34.30 or about $45. In Canada, that cigar would be around $70 Canadian ($52 U.S.). Behikes are even more, with prices surpassing $100 per cigar in some markets—when you can find them. Discount Cohibas do not exist. Demand far outstrips supply and the wholesale costs of Cohiba are just too high for anyone to offer them at a lower cost. If they’re cheaper than usual, they’re most likely not real. Stop looking for a bargain. It’s an exercise in self-delusion and you’ll only get burned and feel foolish in retrospect. Rather than wasting your energy trying to save a buck, try finding a reputable dealer instead. We suggest La Casa del Habano franchise shops.